Not just through the window, but through the ages too. Details of this week’s challenge, and lots of entries, can be found here. Posted in Photography, Weekly Photo ChallengeTagged 2012, architecture, blogging, landscape, nature, photographs, photography, weekly photo challengeBookmark the permalink. Yes indeed. You don’t see windows like this everyday anymore. They are lovely, aren’t they. Thanks for visiting. Nice photo. I really like the window. And thanks for the pingback. Thanks, and thanks for visiting too. Nice take on the theme and a good photo of old glass. Isn’t it interesting that we think of glass as a solid, but it is really still flowing, just so slowly that we don’t realize it? There is some really lovely old glass in this building. Some of it damaged by heat during a very fierce fire. It has become an ever-changing art form. Thanks for visiting. What a beautiful window… looking through time.. I like that take on this weeks theme. Thank you, thanks too for taking the time to comment. Loved the stained glass at the top of the window! Nicely done! Thank you, it’s a lovely setting. Thank you. There’s a lot to work through this week, I’ll be over soon! 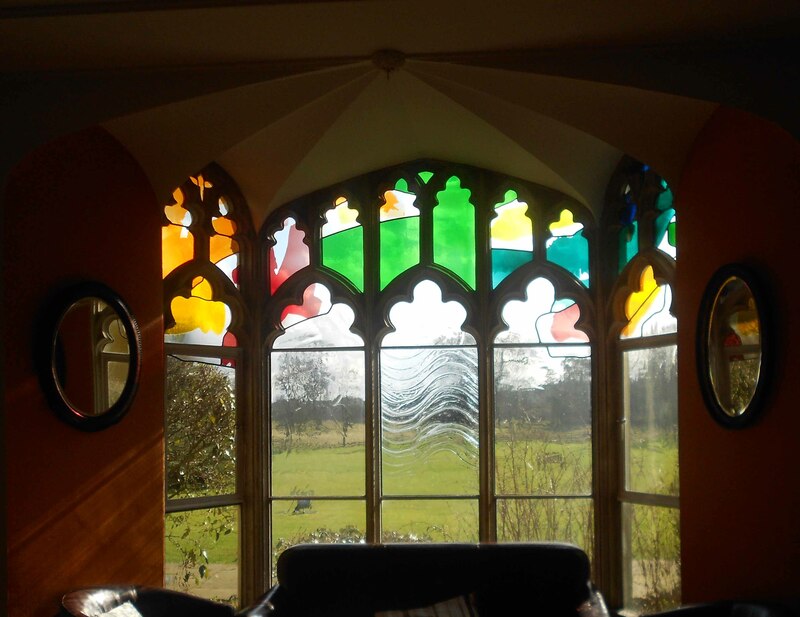 Lovely window… the stained glass colors are brilliant! The clear glass pane in the middle looks like it has a slight wave pattern of flowing glass. Is it heat damage, a marvelous light anomaly, or am I just seeing things?